Psychiatry or Anti-Psychiatry Blog How Do You Tell? I was recently e-mailed a graphic that declared "Top 100 Psychiatry Blog" and encouraged me to display it on my blog. I was contacted again a week later and asked why I was not displaying the graphic. My first question was whether there really were 100 psychiatry blogs on the Internet. My second question was whether there was any advertising hype associated with this offer. The Internet seems like one big ad these days. What appears to be a reasonable site often degenerates into more mouse clicks than an electronic health record in order to get viewers close to ads so that they count as advertising revenue. There are plenty of sites out there that just link to other sites and try to get advertising revenue without producing any original content. I visited the list of blogs and several were familiar. I have a number of blogs written by the psychiatrists who I follow attached to this web site in my profile - along with a number of scientific blogs. I don't think that ranking them serves any useful purpose, but I will say that they seem very reasonable to me. At the same time there were also blogs listed there that were more antipsychiatry than anything. Are antipsychiatry blogs psychiatry blogs? What if they are implicitly rather than explicitly antipsychiatry blogs? Does that make a difference? I think that if you are writing from a strictly or even loosely antipsychiatry vantage point it probably has very little to do with psychiatry. These sites exist and you can certainly go there. You can read them exclusively. But I would not equate them to a psychiatry blog that is written by someone who knows the field and is interested in scientific discussions about the field. Believe it or not there are a multitude of people on the Internet writing about subjects that they have no knowledge of at all. It turns out that psychiatry is a complex subject that requires a great deal of scholarship in training and on an ongoing basis. It is not generally amenable to lay interpretations of the meaning of brain imaging studies or clinical trials. Some of the top viewed posts on this blog are excellent examples. Some of the major Internet sites have writers that clearly do not know the subject material but do not hesitate to provide a heavy handed analysis that is often miles away from reality. Fake news is an overused term that can't easily be applied to opinion. I had a couple of readers ask the question: "Well - aren't we entitled to our opinion?" Of course you are entitled to your opinion - but your opinion really does not apply to the real treatment of psychiatric illnesses or what is really happening in psychiatry. There are blogs out there who bombastically target about "reforming" psychiatry when the opinions expressed on those sites clearly indicate that none of the authors knows anything about the practice of psychiatry or the influence of business and government on the care of mental illnesses. Curiously - psychiatry itself has produced some world class antipsychiatrists who in some cases affiliated themselves with more notorious antipsychiatry organizations. For me Thomas Szasz is a clear case in point. In fact, some of his antipsychiatry rhetoric has become so mainstream that it is even used by psychiatrists when they wax rhetorical. I recommend a skeptical approach to any blog - even if it is written by a psychiatrist that is a blanket condemnation of the field or that makes it seem like every conceivable problem with mental health diagnosis and treatment can be blamed on psychiatry or psychiatrists. There is generally an air of superiority in the writing as in "Most other psychiatrists have these problems but I don't, because either I am intellectually superior or my methods are superior." To my knowledge that condition has never existed in the history of the field. Every week I get one and sometimes two large newspapers in my driveway whether I want them or not. The newspaper business is so desperate that they have to give papers away. They have stopped cold calling every week with some promotion that everyone knows these days is just a scheme to rapidly escalate the charges to the point that you cancel the subscription and start over. It is obvious that nobody wants to buy a newspaper anymore. I don't even want it littering my driveway for free. I feel badly for another industry gone obsolete - but not bad enough to buy a newspaper. That unhealthy atmosphere drives all manner of provocative headlines. What used to be a discussed and edited product is now like anything else on the Internet - provocative and looking for mouse clicks and advertising revenue. The spin offs of these newspapers are generally as bad. Some of them are "Top 100" sites. Not the best sources to consider for unbiased news about psychiatry - especially in the context of a well documented pre-existing media bias against psychiatry. One of the main reasons for this blog is to simply point out that most media is biased against psychiatry and psychiatrists - if anything the blogs are much worse. I wrote an early post on this blog about how a writer has to adopt an overly negative view of psychiatry in combination with an overly positive view of the rest of medicine to be that negative about psychiatry. In the real world, the demand for psychiatry has greatly exceeded the supply. Non-physician specialists are now being hired en masse to fill unfilled psychiatric positions. Psychiatrists are consulting in collaborative care models with primary care physicians to enable them to treat more psychiatric problems and prevent closed practices that occur when psychiatrists provide individualized care. All of this hiring is being done by organizations that would just as soon not hire any psychiatrists if they could get away with it. That is strong economic proof that psychiatrists and psychiatry has a lot to offer tens of thousands of patients in these health plans. As a psychiatrist with limited resources I am not about to name names and end up in some endless cycle of ridiculous litigation. You really have to do your homework on this one, because nobody can afford to stick their neck out and name names. Sites on the Internet that were set up to follow and characterize these groups have been intimidated into removing material or in some cases just shutting down. These sites are often obvious by over the top rhetoric about psychiatry or psychiatrists, but many are now taking a more subtle approach. They can give the appearance of being legitimate - right up to the point that they may offer services or request donations. The services often cost very large amounts of money. The legitimate psychiatry blogs I read are not looking for patients or funds. They also point out they are not handing out medical advice and that they are generally for educational or scientific purposes. One of the best ways to investigate questionable clinical services or requests for donations is to make sure that they have appropriate site licenses and professional licenses by state regulatory agencies. I am always skeptical of this approach, basically because if you have been wronged by physicians in American society there are generally more remedies than there are in any place in the world. I have repeatedly pointed out that the boards of medical practice in any state have a very low threshold for investigating physicians and assigning punishment that can include license forfeiture. Practically all physicians these days are employees in healthcare organizations and there are administrators in those organizations who may be even more eager than medical boards to discipline physicians right up to firing them. All three of these entities - medical boards, employers, and malpractice attorneys have very strong incentives for going after physicians. In fact, any physician caught in that cross fire does not stand a chance - even if they have done nothing wrong. American society is renowned for being litigious and medical malpractice is one of the cash cows. There are 3 ready solutions for people who feel they have been wronged by any physician. When I compare the time it takes to write a vituperative blog for no real gain to these cash, justice, or revenge solutions - the logical questions is why? There are not many good answers to that question. I can think of maybe one or two - but even then extrapolating from an isolated case to thousands of doctors requires an illogical leap - especially while maintaining an equal level of contempt. Keep all of this in mind. A "Top 100" site may include sites that are there to bash psychiatrists or the profession. It may be written by someone with absolutely no knowledge of psychiatry or (potentially worse) a psychiatrist who thinks that they know more than any other psychiatrist who was ever born. Like most things on the Internet - let the reader beware. I was pleasantly surprised to find this book. I have been following the work of Guilio Tononi for some time and that involves reading articles co-authored by Christof Koch as one his main collaborators. There also have several excellent videos available on YouTube where they discuss consciousness and Integrated Information Theory (IIT) of consciousness. In this book we learn about Koch's personal and professional trajectory in the field and several of his influences. 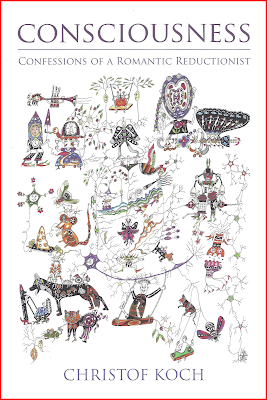 He is currently the President and Chief Scientific Officer of the Allen Institute for Brain Science and a Professor of Biology and Engineering at Caltech. His academic credentials are available at the link to his web page and they are reviewed in this book as a backdrop to how he came to the field of consciousness studies. The layout of the book is 10 chapters over 166 pages. It is well written in that it contains technical terms but they are well explained for the novice. On the other hand there are also higher level concepts pertaining to consciousness that will probably not be obvious to many readers that are well explained and worthwhile reading for anyone who is not an expert in the field. The text reminds me of a slim guide to neuropathology that one of my med school professors claimed was the only book he studied to pass his subspecialty boards exams. In other words, the more you bring to a book like this, the more you may take away. At the same time it is interesting reading for a novice. A typical chapter is organized around clinical and scientific observations, associated philosophy and the personal experience and meaning to the author. I thought about characterizing the writing as a very good blog, but this writing by one of the top neuroscientists of our time is several levels above that. Koch writes from the perspective of admiration of some of the best scientists in the world when it is clear that he is among them. He adds a unique perspective referencing his training, his family and social life, and the relationships he has with colleagues and mentors. In the final chapter he describes how his career and experience has impacted on his belief system and personal philosophy. I will touch on a couple of examples of what he covers and the relevance to consciousness. Chapter 5: Consciousness in the Clinic is a chapter that is most accessible to clinicians specializing in the brain. He briefly summarizes achromatopsia and prosopagnosia or face-blindness. He discusses prosopagnosia from the perspective of clinical findings and associated disability, but also consciousness. For example, patients with this lesion do not recognize faces but they do have autonomic responses (galvanic skin resistance) when viewing faces that they know (family or famous people) relative to unknown people. This is evidence of processing that occurs at an unconscious level that he develops in a subsequent chapter. He describes the Capgras delusion - as the "flip-side" of prosopagnosia in that they face is recognized but the patient believes the original person has been replaced by an impostor. In this case the expected increase in galvanic skin resistant is lacking because there is no autonomic response to unconscious processing. In the same chapter he details the problem of patients in a coma, persistent vegetative state (PVS) and minimally conscious state (MCS) and how some new developments in consciousness theory and testing may be useful. From a consciousness perspective coma represent and absence of consciousness - no arousals and no sleep transitions. Persistent vegetative state result in some arousals and sleep-awake transitions. In the minimally conscious state there are awakenings and purposeful movements. The minimally conscious person may be able to communicate during the brief arousals. At the clinical level being able to distinguish between the persistent vegetative state and the minimally conscious state is important from both a clinical and medico-legal perspective. He discusses the use of fMRI in the case of apparently unresponsive patients who are able to follow direction to think about very specific tasks and produce the same brain pattern of activation seen in controls. In a subsequent chapter Tononi and Massimini use transcranial magnetic stimulation (TMS) and electroencephalography (EEG) for the same purpose. This technique is considered proof of IIT as well as a clinical test to differentiate PVS from a minimally conscious state. In normal awake volunteers the TMS impulse results in brief but clear pattern of reverberating activation that spreads from the original stimulation site to surrounding frontal and parietal cortex. The pattern can be viewed in this online paper (see figure 1). In the patient who is in non-REM sleep there is no cortical spread from this impulse and the total impulse duration is less, illustrating a lack of cortical integration required for a conscious state. When applied to PVS versus MCS patients, the MCS patients show the expected TMS/EEG response that would be seen in conscious patients. The PVS patients do not. He describes the TMS/EEG method as a "crude consciousness meter" but obviously one that probably has a lot more potential than traditional clinical methods. There are many other clinical, philosophical and scientific issues relevant to consciousness that are discussed in this book that I won't go into. I will touch on a recurring theme in the book that gets back to the title and that is science and reductionism. Philosophical perspectives are covered as well as the idea that the origin of consciousness may not be knowable by scientific methods. Koch's opinion is that most everything is knowable by science and that science generally has a better track record of determining what is knowable. That is certainly my bias and I am on record as being an unapologetic reductionist rather than a romantic one. 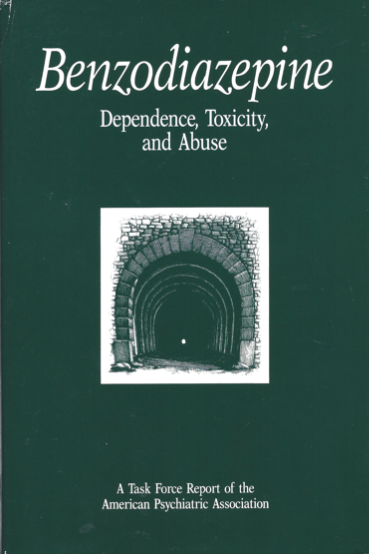 This is a book that should be read by psychiatrists and residents. These concepts will hopefully be some of the the mainstays of 21st century psychiatry. It can be read at several levels. I was interested in the development of Koch's ideas about consciousness. I wanted to learn about his relationship with collaborators. I was pleasantly surprised to learn that we had similar thoughts about popular media, philosophy, and and psychodynamic psychiatry. I have had career long involvement in neuropsychiatry and behavioral neurology so the description of cortical localization and clinical syndromes was second nature to me. But even against that background, he makes it very clear where consciousness comes in to play. One of my concerns about psychiatric training is that there is not enough emphasis on neuroscience and consciousness. Condensed into this small book there are number of jumping off points. Each chapter has a collection of annotations and there is a list of about 100 scientific references at the end. It may take some work, but this book is a brief syllabus on how to get up to speed in this important area and greatly extend your knowledge of how the brain works. Christof Koch. Consciousness: Confessions of a Romantic Reductionist. First MIT Press Paperback. Cambridge, Massachusetts, 2017. Copyright 2012. 1: Massimini M, Ferrarelli F, Sarasso S, Tononi G. Cortical mechanisms of loss of consciousness: insight from TMS/EEG studies. Arch Ital Biol. 2012 Jun-Sep;150(2-3):44-55. doi: 10.4449/aib.v150i2.1361. Review. PubMed PMID: 23165870. Open Access Free Text. What Are The Implications Of The Suboxone Versus Vivitrol Study For Treating Opioid Use Disorder? A major study came out in the Lancet last week that was a head-to-head comparison of Suboxone (buprenorphine-naloxone or BUP-NX) and Vivitrol (extended-release naltrexone or XR-NTX). I am beginning with the product names here because they were the actual medications used in the study and nobody uses the generic names at this point other than physicians. This is an important study for a couple or reasons. The first is that oral naltrexone tablets have already been tried for the treatment of opioid use disorder (OUD) and that approach failed. XR-NTX used in this study is a long acting intramuscular injection that is given every 28 days. The second is that many people with OUD do not want to take BUP-NX for many reasons. They may be philosophically opposed. They may have the experience that they know they will relapse on it, using heroin and then covering heroin withdrawal with BUP-NX. They may not be able to tolerate the medication either because of side effects or the possibility of cognitive side effects. The cognitive set of the patient is also important in the decision. It is common to find patients who benefit from XR-NTX because using the medication makes heroin ineffective and therefore using it is a waste of money. 1: Two sites used no opioids, but used clonidine or "comfort meds" a term that I really don't like to see. Other comfort meds typically include an NSAID like naproxen for muscle and joint pain, hydroxyzine for anxiety and insomnia, methocarbamol for muscle spasm, and dicyclomine for abdominal cramping. 2: Four sites used 3-5 day methadone tapers. 3: Two sites used 3-14 day buprenorphine tapers. If a subject was going on to the XR-NTX group they had to be off all opioids for three days, have negative toxicology for the presence of opioids, and have a negative naloxone challenge test. The authors don't explicitly state this but all of these detox protocols favor BUP-NX in the induction phase or initial dosing toward maintenance. That is basically because most moderate to heavy users of heroin will be experiencing withdrawal symptoms at the end of these protocols. Random assignment of 283 subjects to the XR-NTX group and 287 subjects to the BUP-NX group occurred. Early termination occurred for a number of reasons in 78 of the XR-NTX group and 62 of the BUP-NX group. A total of 283 and 287 subjects respectively were assigned in the final intent to treat analysis. The primary outcome variable was time to relapse. Relapse was defined as self report of use and either provided positive urine toxicology for any non-study opioid or failed to provide a urine sample. The subjects were seen weekly for monitoring of cravings, self reported use, reports of adverse events and report of other substance use. Standard physician or nurse led office based medication management was described as happening at these visits. It is not clear to me what that is but they described a standard medication focused visit. Psychosocial counseling was recommended and available but it was not a variable for this research. Secondary outcome variables included portion of subjects getting through the induction phase and into the active study, adverse events (including overdoses), frequency of non-opioid study use, and opioid cravings (rated on a 0-100 visual analogue scale). In terms of results, they were broken down across several variables. The intent-to-treat analysis showed that relapse-free survival was 8.4 weeks in the XR-NTX group and 14.4 weeks in the BUP-NX group but 20.4 weeks in the XR-NTX group and 15.2 weeks in the BUP-NX group when the protocol group rather than treatment intent was used. The difference in these results was due to induction (starting of either medication at the end of detox) failures in the XR-NTX group. The rates of successful XR-NTX induction varied site from 95% at an extended stay opioid free program to 52% at the methadone detox programs. Self reported opioid abstinent parallels these results. The graphical representations of these data (survival curves) show essentially parallel curves after an initial drop due to differences in the induction protocol. The authors conclude that the drugs are equally safe and effective in preventing opioid relapse. A separate interesting survival curve was the rating of opioid cravings over time. The authors interpretation of these curves was that that the BUP-NTX group had fewer cravings initially but that by 24 weeks the ratings converged. There may be some additional data in that graph showing that the low point in cravings was reached about 5 weeks earlier in the BUP-NX group and therefore it persistent longer. The other important secondary outcome measure was the number of overdose deaths. If analyzed just by the protocol there were 10 overdose events in the XR-NTX group and 9 overdose events in the BUP-NX group. Including the failed induction subjects in the intent-to-treat analysis increases these number to 18 and 10 respectively. There were 2 fatal overdoses in the XR-NTX group and 3 fatal overdoses in the BUP-NX group. The fatal overdose group was due to failed induction and premature termination of treatment. 1. BUP-NX and XR-NTX are equivalent treatments and should be recognized as such - there has been some press about XR-NTX not being an "evidence-based" treatment despite the fact that it has been in use for some time. Those articles either ignore the fact that it had the FDA approved indication or they ridicule the study used to get that approval. Here is the additional evidence. 2. There is a need for standardized opioid detox protocols that are optimized for patient safety and efficacy for treating withdrawal symptoms - the three options used in the treatment center in these trials are representative of what is available in the community. One of the goals of detox is to optimize the transition to medication assisted treatment (MAT) to prevent relapse to opioid use. As the authors point out the lack of a smooth transition to XR-NTX was the main reason for treatment failures and poorer outcomes in that group in the intent-to-treat analysis. 3. Besides the detoxification protocol other resources to facilitate the transition from detox to MAT maintenance are unknown - It is clear that transitioning the patient from detox to MAT is a critical step in the treatment process. That not only involves the medication but the structure of the program and individual patient support at that time. People leave treatment for sustained and untreated withdrawal symptoms and that include severe psychiatric comorbidity including severe anxiety +/- panic attacks, insomnia that often involves days of no sleep and drenching night sweats, and depression. There is often a lot of confusion over which symptoms are due to an associated psychiatric disorder and which symptoms are due to withdrawal. The confusion can be heightened if the patient comes in being treated for anxiety, insomnia, or depression with a maintenance medication. The current paper does not describe an optimal path for treating those patient characteristics (psychiatric disorders and other substance use disorders were an exclusion criteria). 4. Optimal patient selection for the BUP-NX versus XR-NTX are unknown - In additional to significant psychiatric symptoms there are a number of other factors that will influence patient selection not the least of which are cost and logistics. In many parts of the country it is still extremely difficult to find a BUP-NX provider. Even when a physician is found, many do not accept insurance and the out of pocket cost for patients for both the visits and associated lab tests is prohibitive. XR-NTX is a very expensive injection that may not be covered by insurance companies or patient assistance programs. This study may increase the likelihood of coverage despite the fact that XR-NTX has had an FDA approved indication for "the prevention of relapse to opioid dependence, following opioid detoxification" since 2010. 5. Clinicians should use this information to discuss realistic treatment with their patients - as I have previously pointed out BUP-NX is no panacea and neither is XR-NTX. Contrary to the idea that antagonist therapy prevents overdoses, there was no significant differences in overdose deaths in this study. That should lead to a very serious informed consent based discussion about these medications with patients. The idea of how long the medication should be taken or whether it should be taken indefinitely should not be part of that initial discussion. The focus needs to be on completing detox and transitioning onto one of these medications. The patient's capacity to make a realistic decision and what their preferences are with regard to these medications are all part of that process. Life is not a randomized clinical trial. Part of the skill set of the physician is the ability to have these discussions. It takes more than the ability to prescribe these medications. That's my take on the head-to-head comparison of Vivitrol (XR-NTX) and Suboxone (BUP-NX). Even with effective treatments to prevent relapse to opioid use - many more elements need to be in place. The practical issue most frequently discussed is the availability of prescribers. Nobody seems to be talking about the fact that some treatment programs offer neither option. There is also very little discussion about the fact that some treatment programs lack the atmosphere or expertise to provide patients with a shot at being successful and getting off opioids. We have come a long way with agents to treat OUD compared to the days when I would see hospitalized heroin addicts who wanted to stop but had no realistic options. I could only offer the 3 days methadone detox, continuing their methadone maintenance dose, or covering the sympathetic symptoms of withdrawal with clonidine. I could tell them where the closest methadone maintenance program was but that did not assure them an appointment or a place in that program. Federal Law at the time prohibited the active treatment of OUD unless you happened to be in a licensed methadone maintenance program. Now that the legal and regulatory landscape has improved - it is up to treatment programs everywhere to get up to speed and offer state of the art care. It is up to state licensing agencies to not allow treatment centers to take care of these patients if they don't. Any PubMed search on waiting list mortality will produce a long list of articles on mortality that occurs on transplantation waiting lists and all of the associated ethical and logistic problems. I could not locate any work done on waiting lists to get in to see psychiatrists, primary care physicians, or specialists. To an extent, waiting list mortality is expected and some of the risk factors (increasing age, significant chronic medical illnesses, high risk medications) is undoubtedly predictive. But what about the person who calls in and describes a clear cut problem that is misclassified and the error is potentially life threatening. I have picked up a few of these problems in psychiatric clinics where the ultimate emergency diagnosis was unrelated to the reason for the appointment. Seeing a patient who is white as a ghost, complaining of coffee ground emesis, and determining the hemoglobin to be 7 is one of many examples. Anxiety was the reason for that appointment. I have found a number of acutely anemic patients due to blood loss with complaints about anxiety, shortness of breath, and panic attacks who really needed blood transfusions. I have a more concrete recent example that is much more common in psychiatric practice, especially if a significant number of patients with alcohol and benzodiazepine problems are being seen. That is the problem of nocturnal anxiety with panic attacks. To make it a little more interesting, let's say our hypothetical patient is 55 years old, has a history of paroxysmal atrial fibrillation (2 brief episodes), does not take an anticoagulant, and takes flecainide to prevent atrial fibrillation and metroprolol to prevent palpitations. He has obstructive sleep apnea and is on APAP. His AHI is 3.5 or less on any given night. He has never has an electrophysiological study. Stress test and echocardiogram were both negative. He has had to taper the metoprolol over a period of about 5 years from 25 mg BID to 3.125 mg daily due to lower and lower BP. Suddenly the patient is noticing palpitations at night. They seem to occur at the end of REM type dreams and do not seem to correlate with the emotional content of the dream. The awakenings with palpitations typically occur at 4AM. He has not had a panic attacks in 35 years. He does not drink or use benzodiazepines. To terminate the palpitations he gets up and drinks a large glass of water or walks around and they resolve in about 10 - 20 seconds. He gets a small single lead ECG device that reads one aberrant beat as "occasional PVC". He gets in to see his primary care MD in a couple of days. His exam is normal and he is in sinus rhythm. No aberrant heart beats are noted by his internist. Electrolytes and magnesium level are normal. He goes home that night and the palpitations continue. He calls his sleep medicine physicians who tells him to start with his Cardiologist. He calls the Cardiologist who concludes that "these are beats that originate in the lower chambers of the heart and there is nothing to be concerned about." Despite the acute change in symptoms that is waking him up on a nightly basis - no further testing, examination. or diagnosis is offered. Frustrated - he calls a referral center and schedules a sleep study in about 2 1/2 months. Is there something else that could have happened in this case? If you happen to be this man's psychiatrist - like I am in many of these cases of sleep related symptoms what is the differential diagnosis and what else can be done. A reasonable differential diagnosis of these palpitations might consider the following list of conditions. In considering the list. there are some useful clinical features. Sleep terrors are rare in adults. They typically occur in the first half of the night. The patient suddenly arouses from sleep. They may scream. They have intense sympathetic output including diaphoresis, flushing, tachycardia, tachypnea,and mydriasis. They may appear to be disoriented. Nightmares are typically dreams with negative emotional content that occur with awakening from non-REM sleep. Sympathetic arousal is not as prominent. Nocturnal panic attacks (NP) can occur in people with daytime panic attacks (DP) or as a separate entity. People with combined DP/NP had more symptom severity. Palpitations are a feature of panic attacks. In a recent study (2) the authors also rule out associated disorders like substance use problems and obstructive sleep apnea by exclusion and testing. The pure NP group were predominately male, had a childhood history of sleep terrors, and were more likely to have respiratory symptoms (choking sensations) despite a lower overall symptom severity score than the DP/NP group suggesting a more common mechanism with night terrors. Because of the similarity between nocturnal panic attacks, sleep terrors, dream anxiety attacks and nocturnal seizures some authors encourage "extreme caution" in making the diagnosis (3). The alcohol and substance intoxication and withdrawal states may be less obvious outside of treatment setting specializing in these disorders. Patients with these problems may not disclose the full extent of use. In the proper context, discontinuation of both cannabis and hallucinogens like LSD occurs due to increasing anxiety and panic attacks. Alcohol and sedative hypnotic withdrawal can cause prominent sympathetic symptoms including night sweats, tachycardia, and panic attacks. Those symptoms typically resolve with treatment of the underlying withdrawal syndrome. In some cases the anxiety and panic attacks persist and require additional treatment. Pure cardiac symptoms associated with sleep can be confusing. The patient is aroused and may notice the arrhythmia. The question becomes is the arrhythmia secondary to anxiety and sympathetic arousal or is the anxiety secondary to the chest sensation? In the case of a patient with known sleep apnea and atrial fibrillation here are several possible causes including breakthrough atrial fibrillation at the time of the awakening. In this case there was a crude monopolar tracing that showed a ventricular premature beat (VPB). VPBs are commonly associated with anxiety, but is it enough to count on the patient capturing the event by getting up out of bed and holding an inexpensive device to his chest? Patient with sleep disordered breathing are at increased risk from nocturnal death (midnight to 6AM) and one of the mechanisms may be arrhythmia from the cardiac effects of sleep disordered breathing. The patient in this case is very much alive and functioning at a high level. He still has the nocturnal palpitations but is less anxious about them because they are now intermittent and always seem to resolve in a short period of time. If he thinks about it for nay length of time the question that comes up is: "Why now?" He hopes that the referral center will have the answer to that question. I don't have any outcome or ready solutions to this problem. In many ways it highlights a potential quality problem in the high tech American healthcare system. Here we have a patient who is fairly compulsive about his own health care. He has a primary care physician who he saw and contacted both his specialists. When there was no answer, he contacted a referral center and set up an appointment 2 1/2 months out into the future. What will happen while he is on that waiting list is a probability statement with a series of unknown probabilities. What is disappointing from my perspective as a physician trained in the 1980s is that at some point - the rigorous intellectual approach to patients problems has fallen by the wayside in favor of rationing. We are no longer in pursuit of a diagnosis that might make a difference. We are satisfied with saying "I checked off all of the boxes and I didn't see anything". It's a 21st century variation of the old joke: "The operation was a success but unfortunately the patient died." I am very interested in what the cost of this approach is in terms of human life and additional comorbidity. I think that what happens to people on these waiting lists (compared to controls) is where the emphasis should be place and not on how fast patients should be discharged and not readmitted to hospitals. Despite all of the press about unnecessary tests and the risks associated with those tests, the commonest errors I see that result in patient injury is missing the obvious diagnosis and not doing the appropriate tests. There is something wrong with a health care system when a psychiatrist cares more about these problems than the physicians running the system. 1: Selim BJ, Koo BB, Qin L, et al. The Association between Nocturnal Cardiac Arrhythmias and Sleep-Disordered Breathing: The DREAM Study. Journal of Clinical Sleep Medicine : JCSM : Official Publication of the American Academy of Sleep Medicine. 2016;12(6):829-837. doi:10.5664/jcsm.5880. 2: Nakamura M, Sugiura T, Nishida S, Komada Y, Inoue Y. Is nocturnal panic adistinct disease category? Comparison of clinical characteristics among patients with primary nocturnal panic, daytime panic, and coexistence of nocturnal and daytime panic. J Clin Sleep Med. 2013 May 15;9(5):461-7. doi: 10.5664/jcsm.2666. PubMed PMID: 23674937. 3: Shouse M, Mahowald MW. Epilepsy, sleep, and sleep disorders. in: Kryger MH, Roth T, Dement WC. Principles and Practice of Sleep Medicine. 5th ed. St. Louis, Missouri. Elsevier Sanders, 2011: 1048-1063. More on Benzodiazepines (Like Xanax). 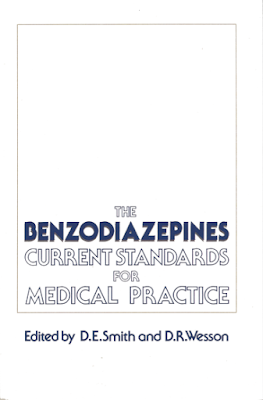 The topic of benzodiazepines will just not go away. At the top and bottom of this post - I include a number of book covers from my library on the topic from the last 30 years. The publication dates are 1983, 1985, and 1990. 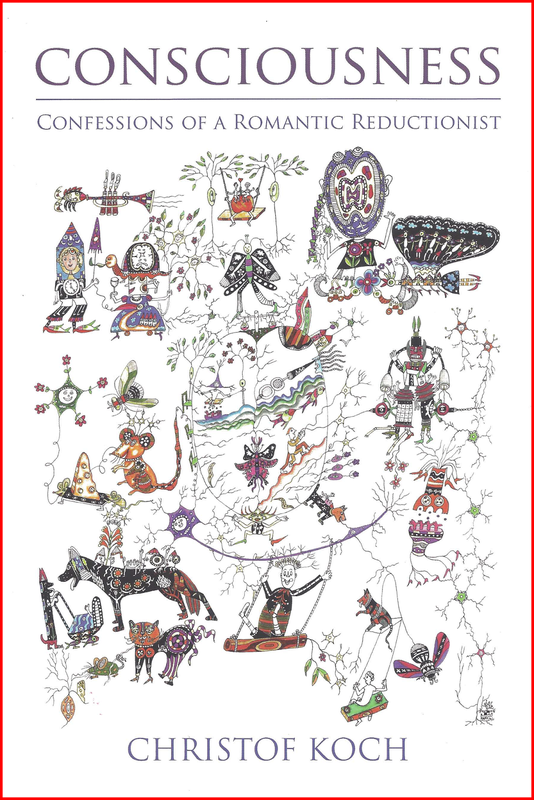 I wrote a brief review for the Psychiatric Times and included my unedited version on this blog from earlier this year. My overall message was that benzodiazepines as a group are great for very specific indications. In fact for some indication like detoxification from alcohol or sedative hypnotic drugs and catatonia they are life saving. 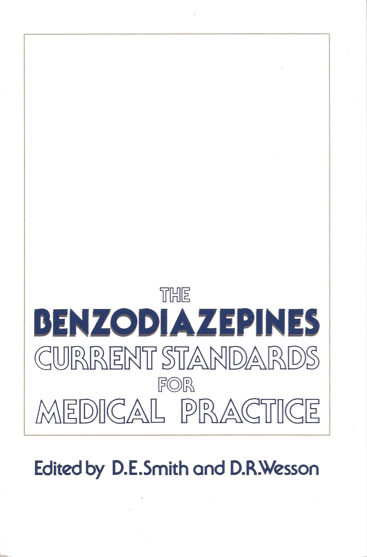 The majority of benzodiazepines are not prescribed for those indications. They are prescribed primarily as add on medications for anxiety and insomnia. Their use is limited by tolerance and addictive properties that are expected from a medication that reinforces its own use. It is also problematic to prescribe them to any population of patients where alcohol use is prevalent and not expect significant drug interactions or abuse. I really wanted to include a graphic from the paper listed below (1) from JAMA Psychiatry on the prescribing rates of benzodiazepines in patients being treated for depression. I will post it if I get permission. That graph illustrates the growth in benzodiazepine prescribing from 2001 to 2104. During that time the fraction of patients taking a benzodiazepine in addition to an antidepressant rose from 6% to 12.5% of the depression treated patients. Subgroups were analyzed and psychiatry came across as a the top prescriber of benzodiazepines across all years. Other practitioners and specialists came in under the curve prescribed by psychiatrists. A recent anxiety disorder diagnosis was a strong predictor of concurrent use of benzodiazepine use with 24.1% of patients with a recent unspecified anxiety disorder diagnosis and 39.1% or patients with a panic disorder diagnosis taking both the benzodiazepine and antidepressant. At 6 months 45.6% of the antidepressant + benzodiazepine and 48.1% of the antidepressant monotherapy were still taking an antidepressant. After initial adjustments 12.3% of the simultaneous benzodiazepine and antidepressant users received long term benzodiazepines with 5.7% taking them for one year. The prescribed benzodiazepines were almost all high potency including alprazolam (43.9%), lorazepam (26.3%), and clonazepam (21.8%). About a tenth (13.5%) of the patients got a limited supply of for only 1-7 days). The authors generally conclude that benzodiazepine prescribing seems to be consistent with current guidelines. These suggest that a Cochrane report that concomitant benzodiazepine use with antidepressants increased the short term antidepressant response and decreased the drop out rate attributable to antidepressant side effects. I would think that would be offset at least as much by guidelines suggesting limited use. The overall strength of this report is that it is a study of a very large insurance database population of 684,100 new antidepressant users and 81,020 simultaneous antidepressant and benzodiazepine users. They give a breakdown of antidepressant classes (overwhelmingly SSRIs). Only 12.7% and 16.5% (respectively) of the patients in each class were treated by psychiatrists. Interestingly 77.4% and 80% of each class had not received any form of psychotherapy, although it is conceivable that at least some patients were being seen by therapists outside of the database. As noted psychiatrists were more likely to prescribe combination therapy. The authors speculate that may be due to referral patterns and psychiatrists seeing patients with more severe anxiety and depression, training patterns in psychiatry, or more familiarity with benzodiazepine pharmacology. I think a more likely factor is chronicity and the fact that psychiatrists tend to see more patients with chronic anxiety and temperamental forms of anxiety that are not taken into account in DSM-5 nosology. Despite the large N, there are many drawbacks to database studies like this one. I think it is useful in terms of the basic pharmacoepidemiology of prescriptions but it doesn't say anything about symptoms severity and many of the practical issues involved with benzodiazepine prescribing (like substance used disorders) are eliminated by the study protocol. 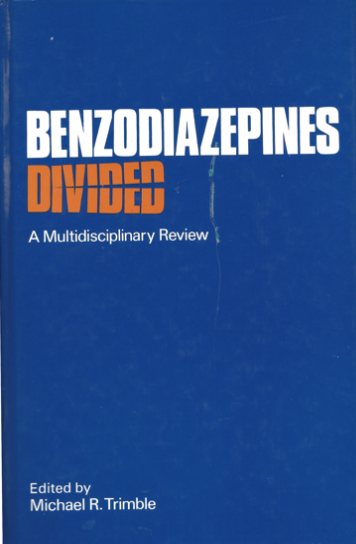 The authors do a good job of describing the downsides (use disorders, falls/fractures, motor vehicle accidents) of benzodiazepines in their discussion. I would have included cognitive problems and tolerance. It also does not address the optimal way to address combined anxiety and depressive disorders. My biggest concern is the current "evidence based" fad of diagnosing anxiety and depressive disorders using symptom rating scales like the PHQ-9 (Patient Health Questionnaire-9) and the GAD-7 (Generalized Anxiety Disorder 7-item). In a primary care setting they pass for a diagnosis. In a psychiatric setting they short circuit any analysis of the etiological factors of anxiety or depression. Instead these disorders are conceptualized as disorders that that require a basic medical treatment and they resolve. That is a gross oversimplification. But the main limitation should be evident - we do not have a specific enough diagnostic system with reliable objective markers. In that context a large N doesn't mean as much unless we know how many subtypes there are and the associated treatment parameters. For years I have been documenting the systematic dismantling of the public mental health system in the state of Minnesota. A chronic unanswered question is how the midwest's most liberal state has come up with such a horrible system. The most obvious answer is that the system is being run by people who do not have a clue about the treatment of mental illnesses. A Governor's Task Force, convened a year ago has not put a dent into the further systematic deterioration. This 30 year race to the bottom in terms of deterioration is why I was not surprised at all by the latest piece of bad news. The Minneapolis Star Tribune published a story three days ago that St. Joseph’s Medical Center in Brainerd Minnesota stopped accepting patients who were being treated on an involuntary basis under civil commitment. They cite an increased length of stay and safety issues. Both of these are valid concerns with people committed for treatment of a mental illness. The system of hospital reimbursement put in place in the 1980s encourages rationing and absurdly short length of stays in inpatient psychiatric units. People who have undergone civil commitment generally have more difficult to stabilize mental illnesses compounded by a lack of recognition that they have a problem. Some of them are also violent and aggressive and those behaviors are directly attributable to the mental illness. The article refers to an incident where one of these patients threw a wooden chair at a nurse and the next day six voluntary patients requested discharge. This is a relatively mild incident compared to what is possible in acute inpatient settings trying to care for people with the most severe forms of mental illness. The most important aspect of treating violent and aggressive patients is having an environment of highly trained people to work with them. The reality of the situation is reflected by the balance of both acute care and public psychiatric hospital beds. There are 145 hospitals in the state of Minnesota and 125 have 24 hour emergency departments. Thirty two of these hospitals have psychiatric units. These community hospitals have a total of 1,124 inpatient mental health beds statewide. Nine hundred sixty of these beds are for adults, and 164 for children and adolescents. On the public side, there are 194 public beds for patients with severe mental illnesses who are committed. Only committed patients can be admitted to these beds. According to the Treatment Advocacy Center states need about 50 beds for 100,000 people. Minnesota has 3.5 per 100,000 public beds and 22.8 per 100,000 beds in community hospitals. Notice that in a comparison to psychiatric beds in OECD nations, the national average in the US is 22 beds per 100,000. The United States ranks 29 out of 34 countries ranked in terms of fewest psychiatric beds. Beds in public hospitals are not equivalent to beds in community hospitals and the newspaper report highlights the differences. Like most states Minnesota continues to lose beds largely because of mismanagement at the level of state government and what has been an implicit initiative to shut down the state hospitals system. The bed situation is compounded by a number of factors besides the lack of beds. There is inadequate housing for people disabled by severe mental illness and inadequate resources to help them live independently. The average person is expected to come in and see a psychiatrist for a discussion of medication and whether or not their acute symptoms are in remission. Treatment for combined severe mental illness and substance use disorders is practically non-existent. The inpatient crisis got worse when legislators passed a very poorly thought out law allowing incarcerated mentally ill patients to be transferred to remaining state hospital beds as a priority over committed patients waiting for transfer in community hospitals. This was an initiative to correct the statistic that Minnesota incarcerates 1.2 people with severe mental illness for every 1 person that it hospitalizes. All of the usual commentators are appear in the article - the Commissioner of Human Services and an advocate. The reader is told that everyone is troubled by this development and wringing their hands. Well I'm not. The entire sequence of events has been observable and is totally predictable. This is a system that has been severely rationed nearly to the point of near extinction by Minnesota lawmakers and bureaucrats. It has been interfered with by advocates and in some cases by very bad hiring decisions of people who were supposed to correct the problem. The only thing we have to show for 30 years of hand-wringing is a a non-existent system of care that does not start to pull resources together until after a person has gone through a civil commitment hearing. Psychiatrists have been marginalized in the process in favor of administrators who come up with one bad idea after the next. Managed care systems seem to only recognize dangerousness as an admission criteria to inpatient psychiatric units. The impact of that bias on commitment frequency, damage to the physician-patient alliance, and damage to the inpatient milieu is probably significant but nobody is interested in studying it. From the article, the problem is clearly solvable. There are an estimated 4,000 patients a year who need these services and only 194 beds available to them. They cannot be humanely treated in community hospital acute care units. They can also not be humanely treated in group homes designed to be surrogate state hospital beds. They receive the least humane treatment in jail. The solution is not to blame community hospitals who cannot treat the problem. One of the issues not mentioned in the article is that the state hospitals have been so decimated - they also cannot treat the problem. There are probably three community hospitals in Minnesota who have adequate staffing and professional resources to address this problem. It is conceivable that many more of the remaining 28 community hospitals with psychiatric units will adopt similar policies if they can. The administrative measure of saying that they can't do this is really not a solution because they really can't provide the necessary care. The state should know this from their failed initiative to provide smaller local units for committed patients. That initiative failed for the same reason that St. Joseph's Medical Center no longer accepts committed patients. They cannot provide adequate care for severe mental illnesses especially when aggression and violence is involved. 1. Build facilities necessary for the humane treatment of people with severe mental illnesses. Staff these facilities adequately and develop continuity of care with local facilities when patients are ready to be discharged. Build these facilities as state-of-the-art facilities in metropolitan areas and not rural areas. The time is past when people were sent away to the country with mental illness. Modern mental hospitals need easy access to advanced diagnostic and treatment equipment as well as expertise that is only concentrated in large cities. 2. Immediately stop arbitrary transfers from county jails to state hospitals, unless the incarcerated patients have been assessed by psychiatrists who agree that a state hospital setting is the best place for them to be. 3. Get out of the way of the people who were trained to work there and run them - psychiatrists, psychiatric nurses, and social workers. 1: Chris Serres. Brainerd hospital stops admitting patients with severe mental illnesses, citing state bottlenecks: Brainerd decision alarms officials, mental health advocates. StarTribune November 1, 2017. Supplementary 1: The image used for this post is of Dexter Asylum attributed to Lawrence E. Tilley [Public domain], via Wikimedia Commons. 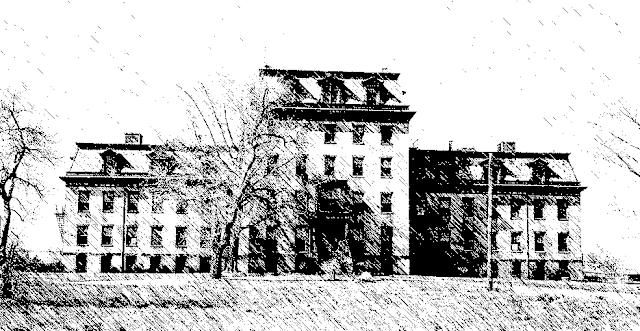 The original image was Photoshopped with a graphic pen filter. It turns out that Twitter is an inadequate forum for discussing the issue. Twitter is an ideal format for discovering if a poster knows anything at all about the problem. A lot of people don't and they seem to just be there to argue. I don't have a lot of time to waste on political approaches to medicine. Political approaches to medicine typified by managed care companies, pharmaceutical benefit managers, and government guidelines that are supposed to improve care but don't are the reasons we have an expensive, fragmented and inefficient health care system. The apparent political factions on Twitter consist of pain specialists who take the position that pain care and access to opioids is now being rationed and their pain patients are being unjustly treated. They claim there is a faction of addiction specialists making various claims that they take offense to. But my experience there is the past few days is that these are all basically red herring arguments. A few of those claims include the idea that addiction specialists would consider pain patients "drug seekers", would recommend treating pain with only acetaminophen, are calling pain specialists "quacks", and of course that addiction specialists have some interest in distorting and overplaying the dangers of opioids. In some cases the arguments have gotten to the absurd claim that the pain advocates (or more appropriately anti-addiction contingent) claims that most heroin users start using heroin directly rather than using legitimately prescribed or diverted pain medications first. Where is the reality in all of this distortion? The reality centers like most things in medicine in primary care settings. The hundreds of thousands of internists and family physicians who provide the bulk of care for almost all problems in the US. As I have posted on this blog many times, the evidence from both the CDC and CMS is that the majority of these physicians do a good job with opioids. Only a fraction of their number prescribes a disproportionate amount of opioids. Many of these physicians have a bias to underprescribing if anything. That means the bulk of physician punitive legislation about mandatory course for opioid prescribing for these physicians will be just that - punitive toward most physicians who already know about prescribing these medications. That legislation is also untested in terms of whether it will have any impact on the physicians who are overprescribers. The other facet of the problem is overprescribing in general. Part of the quality problem in medicine today is that the business and governmental management systems are focused on a brief physician-patient encounter where some medication gets prescribed. That is the focus of the encounter. Patients expect that and come in the door with a medication request. That results in predictable overprescriptions of medications from many classes. The classes that reinforce their own use - opioids, stimulants, and benzodiazepines are more problematic than the rest. At the extremes of this landscape are the pain specialists on one end and addiction specialists on the other. Both have a broad spectrum of quality settings from state of the art to nonexistent. These specialists know this and they know there is very little that can be done about it except to mind your own business and do the best job possible. There are pain clinics that are "pill mills" where there is an understanding that a cash exchange with a prescriber will get you a script that can be filled on site for opioids. That prescription is then sold in the parking lot for diversion. There are other pain clinics where no attention is paid to addiction, psychiatric comorbidity, polypharmacy or the functional capacity of the patient being treated. There are similarly low quality addiction treatment facilities where people are warehoused with no active treatment. Where there is no therapeutic environment because nobody in the program is willing to consider that they may have an addiction. 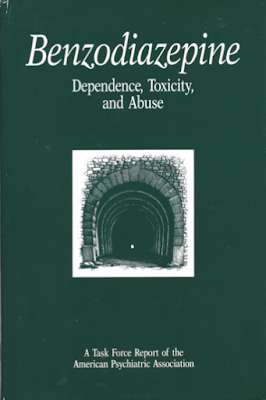 There are programs where there is no medical supervised detoxification. There are programs where there is no medication assisted treatment for opioids or alcohol use. There are programs that do not address psychiatric comorbidity. There are programs based on some sketchy ideas that have no proven relevance in treating addictions. The houses of both pain and addiction specialists are not perfect because of these serious flaws. And let's face it - the regulators of every state in the union are to blame for having so many low quality pain and addiction treatment facilities open for business and accepting reimbursement for shoddy services. My estimate would be about 40%. When a genetically predisposed person uses an intoxicant their reaction to it is markedly different from a person who lacks that predisposition. Opioid users report an energetic hypomanic felling where they have mental clarity like they have never experience before. In some cases they will say that they felt like they had become the person they always thought that they could be. This is a highly reinforcing state that leads to more opioid use. This is the basic reality of the current opioid epidemic and of course very drug epidemic (methamphetamine, cocaine) that the US has seen over the past 200 years. It is quite easy to look down from the high perch of a low availability area with low addiction rates to a high availability area with high addiction rates and conclude that "there is something wrong with those people". The usual conclusion has been that they are morally defective. This is how addiction services have been rationed, poorly researched, and fragmented over the years. Even if you subscribe to a top health plan in the country - it is likely that you will have poor access to quality addiction care because of these attitudes. It is above all else an informed consent issue. The patient needs to know that the medication they are taking is not a panacea and that there are significant risks up to and including addiction and death. They also need to know that these medications can have cognitive side effects and affect their day-to-day functioning. They should not be prescribed solely out of the notion that the physician feels like they need to do something for the patient. There needs to be a pain diagnosis and treatment plan. In the case of chronic pain the patient needs to know that there is no known medication that completely alleviates chronic pain and therefore continued dose escalation of opioids is not a solution. The treatment plan needs to contain more elements than taking the opioid prescription. An associated prescriber issue is polypharmacy. Chronic pain is frequently associated with anxiety, depression, and insomnia. That can lead to a contraindicated polypharmacy environment that includes a benzodiazepine, a z-drug, or a sedating antidepressant used with the opioid. It can also lead to the patient taking alcohol or diverted sedatives on their own initiative with the opioid. Some people in the Twitter debate seemed shocked by the idea that opioids are taken for reasons other than pain relief. I suppose they would be even more shocked if they heard that there are people that take them who get no pain relief at all from them. They taken them strictly because of the positive euphorigenic effects. There are also people who take them despite the side effects for the same reason. The first thing a physician needs to do is step back from the indication - prescription mode that most American physicians have been trained in to take a look at the entire prescribing landscape. That means that is a person has come to idealize a medication or abusable substance they will start to use it for anything - insomnia, anxiety, depression, or "just to feel right to get through the day." As many people tell me: "Look doc - if you can't get rid of this depression I know what I can take to feel OK for a couple of hours." On Twitter and some other blogs readers are incensed that these behaviors exist and yet they are documented in the literature (see paragraph 6). When I say if possible I am more aware of the fact that patients lie to physicians than non-addiction specialists. I have had an endless number of patients tell me that they can get whatever addictive medication they want out of one physician or another. The Mayo clinic had an addiction medicine conference three years ago and one of the presenters was a patient in recovery who basically talked about how he systematically lied to physicians to get opioids for years. He talked about how he could identify a physician who would give him the script that he wanted and who would not. In the case of the latter he would just move on to another clinic. Many non-addiction specialists consider it to be poor form to suggest that patients lie. That denies the basic reality that everybody lies. It also denies the reality of addiction, that you are transformed into a person who is dishonest and a person that you never thought that you would become. In the addiction field it is critical to acknowledge this to help people deal with guilt and shame so that they can recover. The worst thing that can happen is to collude with dishonesty when the final result is the prescription of an addictive drug. I do not consider it to be an issue that I can get this history when the physicians being approached for the medication cannot. It is all part of the illness of addiction. On the other hand, if you are the opioid prescribing physician - the amount of information that you can get asking the direct questions about problematic use is not known until you try it. All things considered it is possible to treat people with chronic non-cancer pain with opioids. I have been involved in that treatment before I switched to seeing only patients with addictions. I consulted with some of the top pain experts in the state. All the limits in this post need to be acknowledged and cautiously addressed. The treatment of chronic pain is not perfect, I know that because I see a lot of the failures. Addiction treatment is not perfect either. The treatment needs to be highly individualized. I wish that I could provide more clear guidance to the patients involved. As an individual I cannot just start pointing fingers at the places (pain clinics and addiction treatment) that I think should be shut down. I think that you need to depend a lot on your primary care physician referring you to places that he or she knows will do good work. On either the addiction or pain end of the spectrum - there has to be more going on than the prescription of medications. Even the most basic psychological models suggest that other cognitive, emotional, affiliative, spiritual and reconditioning changes need to occur.